30 e 31 de Outubro – INSCRIÇÕES ATÉ 31 DE MARÇO! Realiza-se em Cascais nos dias 30 e 31 de Outubro , o evento 5th BioMarine International Business Convention na área da Economia do Mar, uma importante convenção orientada para a realização de negócios e captação de investimento, que tem por objectivo permitir uma partilha de conhecimento entre a indústria, meio académico, entidades oficiais, e sociedade civil, procurando identificar oportunidades de parcerias e concretização de oportunidades de negócio. A 5th BioMarine International Business Convention conta com o Patrocínio da Presidência da Republica, da Secretaria de Estado e da Economia do Mar, e da AICEP – Agência para o Investimento e Comércio Externo de Portugal. Encontra-se prevista a participação de mais de 300 CEO, altos executivos, e entidades oficiais, de mais de 30 países no sector da Economia Azul, representando uma comunidade de mais de 255.000 profissionais dos sectores ligados à Economia Azul, como a Biotecnologia Marinha, Energias Renováveis Marinhas, Aquacultura, Construção Naval, Pesca, e Ambiente. Durante a convenção serão realizados vários plenários temáticos, apresentações e mesas redondas, One to One Business meetings,debates via Web, sessões de networking, assim como a “Innovation Plazza” dedicada à inovação e às startups. As Inscrições deverão ser efectuadas através do endereço http://www.biomarine.org/ até ao próximo dia 31 de Março. 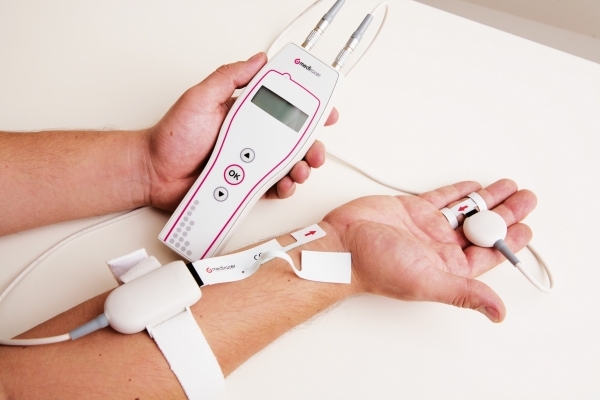 MEDIRACERThe Mediracer NCS system can detect the presence of carpal canal syndrome. It has now been certified for the Japanese markets. Mediracer, a company from Oulu, northern Finland, has gained access to the Japanese health care markets and is now going for global growth. Mediracer has developed a system for detecting carpal tunnel syndrome (CTS) at local health care units, without the need to consult a specialist. According to Mediracer, the system speeds up the treatment process and brings in savings thanks to instant diagnosis, which also cuts down on time spend in queues and on sick leave. Generally 2 to 4 per cent of the population suffer from CTS and 10 per cent from numbness of the hands. The final certificate for the Japanese markets was received last year. According to Mediracer, the approval process is lengthy in Japan: registration of a medical device must be preceded by local registration of the manufacturer. The Mediracer NCS system now has a refunding code thanks to which Japanese patients can receive a 70% refund on the medical costs. The code is practically the key that opens the door to the Japanese health care markets. Around 50 health care units in Finland use Mediracer NCS devices. A AICEP realiza de 7 de Abril a 27 de Novembro do corrente ano, a terceira edição do programa formexport em seis cidades: Braga, Coimbra, Leiria, Lisboa, Porto e Viseu. Um programa de formação para empresas que queiram iniciar ou reforçar o seu processo de internacionalização ou exportação. Primeiros Passos para Exportar, Market Tools, Marketing Internacional, Elevator Pitch, Logística, Balanced Scorecard na Exportação,Trade Finance, Horizonte 2020 e COSME – Programas Europeus de Apoio às PME, serão as áreas-chave deste Programa de Formação. Aceda aqui a informação adicional, programa e ficha de inscrição! Estas empresas selecionadas pelo CITEVE são produtoras de artigos de têxteis, de confeção e vestuário e têm vocação pelos mercados nórdicos. A ação estará sedeada em Vila Nova de Famalicão na sede do CITEVE e comporta uma sessão de manhã [9h30m hora local] e outra de tarde. A AICEP pretende envolver nesta iniciativa os delegados AICEP na Suécia e Dinamarca. A AICEP convida os interessados a participarem deslocando-se ao CITEVE de Vila Nova de Famalicão propondo que dêem um contributo sobre a caracterização das respectivas economias e mercados. Outro ponto que pode merecer o interesse dos participantes seriam as especificidades dos mercados têxteis e de vestuário ou moda dos países a apresentar. Qualquer outro contributo escrito ou conjunto de dados estatísticos pode ainda ter relevância junto das empresas PME´s presentes. 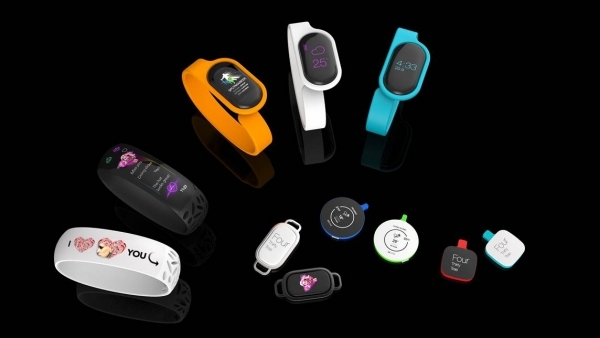 KORU Wearable electronic devices come into contact with the body of the person wearing them and move with them. Koru has envisioned various smart bracelets, among other things. Wearable electronics, such as smart watches and smart bracelets, are currently making a breakthrough comparable to that of mobile phones a couple of decades ago. They are only at the beginning of their development cycle, but the possibilities they offer are infinite. Finnish expertise goes a long way, if you ask Koru CEO Christian Lindholm. His company lives and breaths the smart bracelet megatrend, developing software that can serve as a platform for several manufacturers, equipment and functionalities. Suunto, Polar and Nokia have been pioneers in this sector for a long time. That provides a solid foundation from which to take the next step. In a few years’ time, wearable devices will have reached a technical level high enough to be launched on the mass market. Koru develops raw materials for future generations’ life management devices. The technology is unique, as it enables entirely new kinds of user experiences – quickly and energy-efficiently, with a small memory capacity and at low operating costs. — We are not aware of technology like this existing anywhere else in the world. Wearable computers, in other words smart bracelets, do exist, but they use existing platforms which bring certain challenges, such as quickly depleting batteries, says Lindholm. — We are currently in the process of developing the first generation of smart watches. The biggest difference compared with previously known sports watches is that the products are, in a way, an extension of your mobile phone. The uniqueness of our approach is best showcased by the easy scalability of our platform for various consumer segments. Christian Lindholm believes that the product made possible by the new software will be an invention just as revolutionary as the mobile phone once was. Interest in the product is already there, but the market still needs to mature to become a mass market. — Wearable electronics enable the user to do all the things that mobile phones are used for today, but without a large screen: communicate, organise day-to-day activities, pay bills, play games. Smart bracelets are fashion, design and technology all rolled into one. I believe that manufacturers will understand that these are the keys to success of wearable electronics. As the devices get smaller and their price decreases, technology can be worn in many ways, such as in the form of jewelry. Possible applications are also being developed at Aalto University, for example. — To date, wearable electronics have mainly been used in sports, entertainment, medicine and military applications. While broad-scale commercialisation is in its infancy, the possibilities are practically endless, says Producer Markku Nousiainen from Aalto Media Factory. METSO Metso’s products were praised on criteria such as design quality, innovation and environmental impact. Finnish engineering and technology company Metso has won three prestigious iF design 2014 awards. The jury in one of the world’s top product design competitions recognized Metso’s products for their design quality, degree of innovation, environmental impact, functionality, safety and branding. 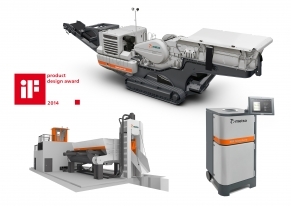 Metso’s award-winning products were a mobile crushing plant, a biomass moisture analyzer and a scrap shear and shredder concept. Scrap shears are used for crushing heavy mixed and demolition scrap. This year’s iF design competition had over 3,200 entries in 17 categories to showcase outstanding achievements in product design. The awards were presented in Munich, Germany. The Metso Lokotrack LT106 mobile crushing plant is designed for crushing of hard rock and recycled materials for purposes such as infrastructure construction. During the past 30 years, more than 6,000 track-mounted Lokotrack units have been delivered to sites around the world. Lokotrack was also one of the award winners in the Fennia Prize design competition this year. EU Commission Finland ranks amongst European Union’s innovation leaders with Sweden, Denmark and Germany. 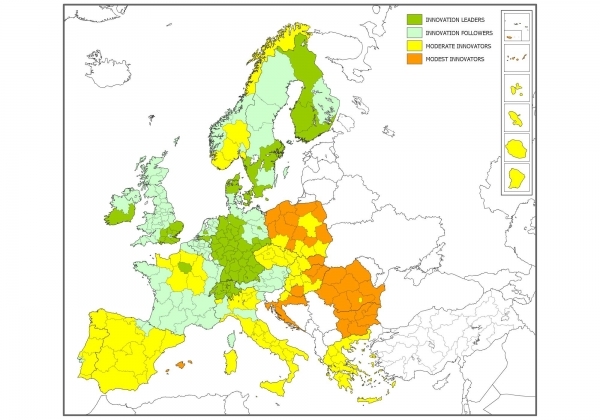 European Commission has named Finland as one of the European Union innovation leaders. The commission names Sweden, Denmark, Germany and Finland as the top countries amongst European Union member states. The rankings are based on the commission’s innovation union scoreboard (IUS) 2014 which takes into account enablers of innovation such as human resources, research systems, finance and support. According to the scoreboard, Finland’s innovation performance increased until 2011 and remained stable in 2012 and 2013. 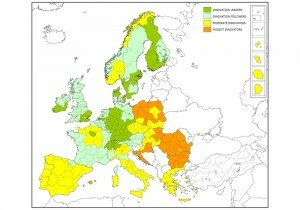 Finland is performing above the average of the EU for most indicators. Finland’s strong position is reflected in international scientific co-publications, research & development expenditures in the business sector, number of new doctorate graduates, and license and patent revenues from abroad. In a global context South Korea, the US and Japan lead in innovation over European Union. According to scoreboard, the United States and South Korea outperform the European Union both by 17 per cent and Japan by 13 per cent. While the gap between the US and Japan and EU has been decreasing, it has been widening with South Korea.